Wild Fact About Me I freeze my drinks before consuming them. My Philosophy If you get yourself killed doing some thing you know is stupid, you deserved it. If I were Mayor, I'd make the world a better place by Ban all dogs and ally with China and Russia. 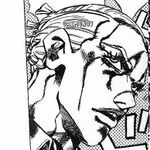 What/who changed my life and why Patrick Bateman, Hannibal Lecter, Dio Brando, Leone Abbacchio, and a few others help me in life because they're all some one I can relate to in one way or another. Quotation "You know what you look like to me, with your good bag and your cheap shoes? You look like a rube. A well-scrubbed, hustling rube .. With a little taste. Good nutrition has given you some length of bone, but you're not more than one generation from poor white trash, are you?"